I am all for music festivals, and each year it's getting bigger and better! 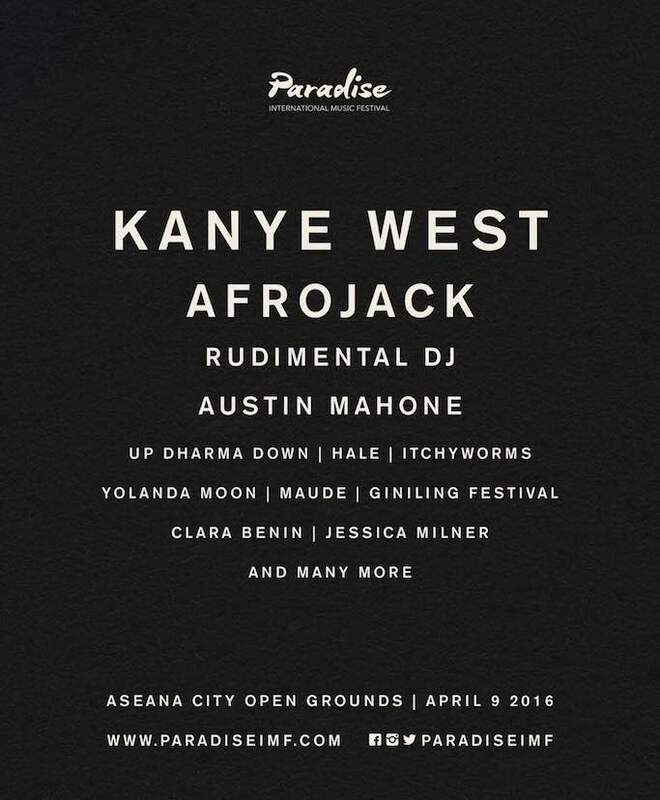 One of the exciting events in the country for 2016 is Paradise International Music Festival (Paradise IMF), a music spectacle in Manila with muti-genre lineup produced by experienced Boardworks Media Entertainment. Went to Paradise International Music Festival Pre-Party last week to find out more. Finally, here's Paradise IMF's final International and Local lineup! Make sure to get yours here: http://paradise.onepouch.com. The one day music festival aims to make the Philippines an international music destination, with a wide variety of artists on a ten-hectare concert ground, and stages set-up across the field to create a unique and memorable experience. Mark your calendars on April 9, 2016, at the Aseana Open Grounds, Parañaque City and let's make history together! 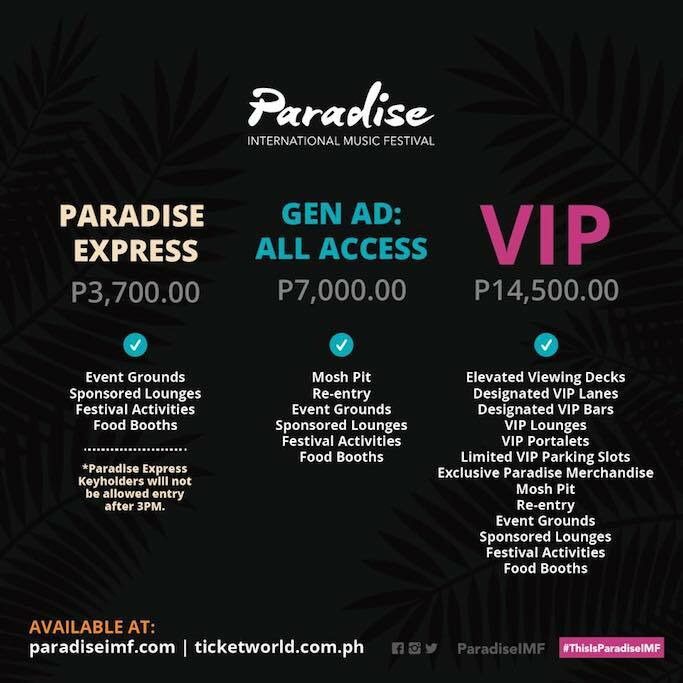 PS: Avail their 20% OFF promo by using the code FLASHFRIDAY on www.paradiseimf.com. PPS: Who wants a ticket giveaway??? Comment below and let's see! I really want to watch Kanye West live!!!!!! i want!! i hope i could win a key. :) :( how i wish, i really want to see afrojack and rudimental. please. did someone say Ticket Giveaway? 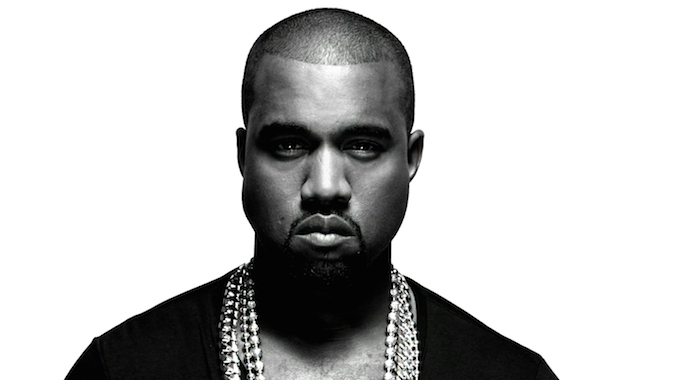 Kanye West in Manila is finally happening! Send me to Paradise and let's dance and sing our hearts out. This is one real Paradise, solid line-up. KANYE BE THE UH-HUH TO MY HONEY? ?